The Central League’s two most historic clubs had a mini arms race last week, with each hoping to have added a little more power to their attacks. The Hanshin Tigers struck first, ending what seemed like a weeks-long courtship by finally agreeing to a one-year deal with Dominican slugger Wilin Rosario on Wednesday. 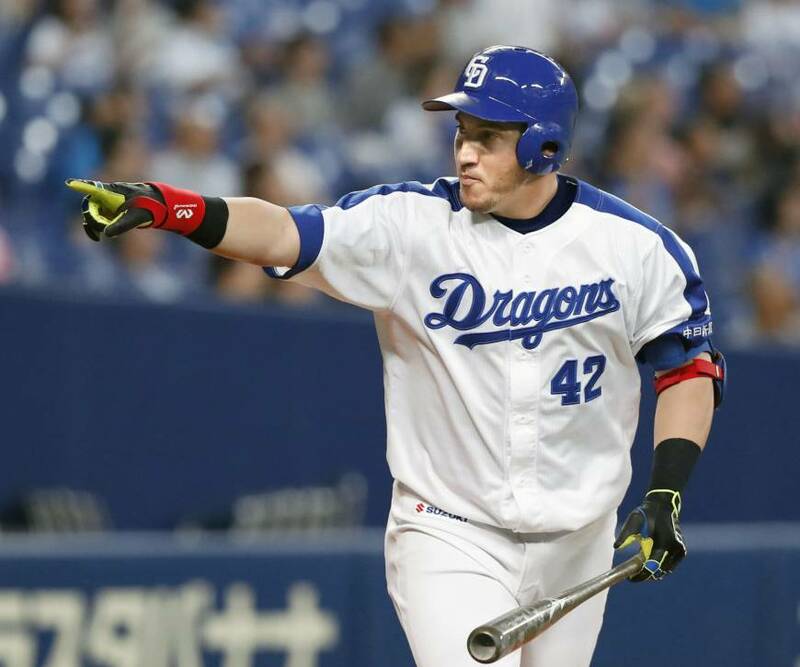 Then on Friday it was the Yomiuri Giants announcing they had reached a two-year accord with slugging outfielder Alex Guerrero, who spent 2016 with the Chunichi Dragons. Adding firepower was obviously a goal for the two clubs, who finished with matching .249 averages and 113 home runs, though Hanshin outscored Yomiuri 589-536 overall, last season. 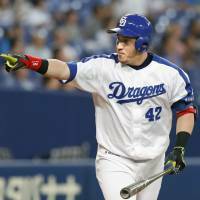 That put both far behind the Yokohama BayStars, who hit 134 homers and drove in 597 runs, and not even in the same neighborhood as the Hiroshima Carp, who knocked 152 out of the park and pushed across 736 runs. Rosario joins the Tigers on the heels of two successful years in Korea with the Hanwha Eagles. He hit .321 with 33 homers for the team in 2016 and had a .337 average and 37 long balls last season. Hanshin fans have only been able to dream of that type of production in recent years. The last Tigers player to reach 30 home runs in a season was Craig Brazell in 2010. The only players to even reach 20 since then are Mauro Gomez, who hit 26 in 2014 and 22 in 2016, and is no longer on the team, Kosuke Fukudome, who had 20 in 2015, and Masahiro Nakatani, who hit 20 last season. Hitting off-speed pitches was the biggest hole in Rosario’s game in five seasons with the Colorado Rockies, where he still managed a pair of 20-home run seasons. The question will be if his two years in Korea have helped him solve that particular issue, as Japan is hardly a place for a player who struggles against breaking balls. He got out ahead of the Tigers, announcing the signing himself on Twitter on Dec. 13. “Thank you my God, thanks to the Hanshin Tigers for the opportunity to play for them, Japan will be our new home!” he tweeted prior to the team announcement. Chalk that one up to excitement (well, mostly to the inability of the team to craft a timely press release). Although, Tigers fans are probably just as excited to see what he can do in the batter’s box. The Giants should have a much better idea about what Guerrero can do, as the Cuban outfielder hit .301 with six homers against them last season. Guerrero has already shown he can hit Japanese pitching, having led the CL with 35 homers in his first season in Japan last year. Guerrero spent that season playing mostly in home run-zapping Nagoya Dome and still produced a big year. His numbers could potentially go through the roof with the more hitter-friendly Tokyo Dome as his new home address. For Guerrero it will be all about the adjustments he makes to pitchers who will have a whole year of tape on him entering next season. Alex Ramirez was the last Yomiuri player to win the home run title, hitting 49 to edge Brazell in 2010. Ramirez wore No. 5 that season, the number the team has said Guerrero will don this year. The Giants will have their fingers crossed Guerrero lives up to Ramirez’s lofty standard, as the Tigers surely will be doing the same in hopes of a smooth transition for their own new weapon.